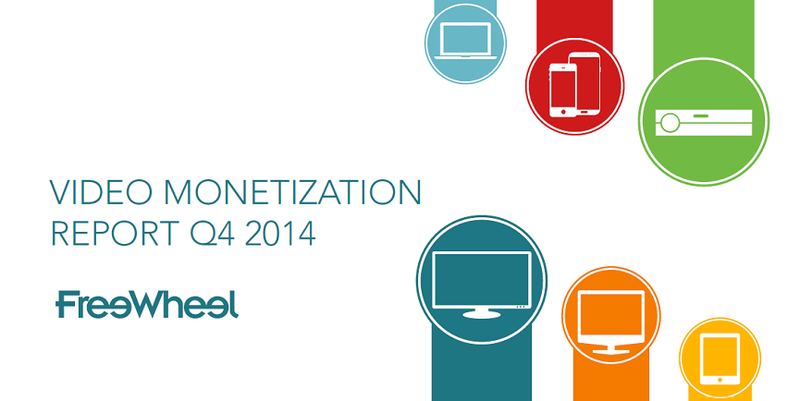 FreeWheel, a Comcast-owned ad serving platform servicing many major TV and cable networks and online video services, including A&E Networks, Discovery Communications, ESPN, NBC Universal and Univision, has released its Q4 2014 Video Monetization Report. The report found that 2014 digital video growth was driven by ultra-premium content – new seasons of shows and live streaming. This was closely related to growth in TV Everywhere authenticated viewing. Live viewing grew 297% year-over-year, driven by strong growth in Sports streaming and News simulcasts. First-run broadcast shows attracted far more viewers this quarter than the year prior, as seen by a 67% increase in digital video ad views. Over-the top (OTT) streaming devices, overwhelmingly used for long-form and live viewing, overtook tablets, accounting for 8% of all video ad views. Authenticated viewing grew 591% year-over-year, as 56% of all video ad views on long-form and live content now come from behind authentication walls.